He first appeared in the manga in volume 5. Although his character is largely a mystery, he appears to be very devious. He is the real Fighter Unit of Beloved. He helps keep track of Ritsuka by spying on him and reports the information back to a mysterious boss. He and Soubi meet in volume 6 and from then on, Nisei stops spying on Ritsuka, but his presence is still near. His role in volume 5 was a pivotal one: he was first introduced as "Seimei," although he was only masquerading as Seimei to gain the trust of Misaki. It is unknown if it was carried out by Seimei&#039;s orders, but Nisei ended up drugging Misaki and trying in vain to convince her to murder Ritsuka, on the promise that Seimei would come back for good. Due to his smug demeanor and malicious behaviour towards Ritsuka, Nisei and Soubi have great animosity between each other. In volume 6, Soubi expresses his deep desire to murder Nisei at any cost. 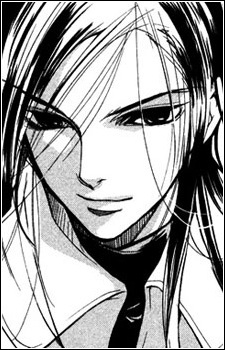 There is a strong belief among fans that Nisei is a psychopath, judging by his actions and the way he says he can&#039;t experience feelings such as love or desire.